We provide distribution lists management for your forms! • Contact Management with pre-define fields: First Name, Last Name etc. • Sent form status per distribution & per contact. 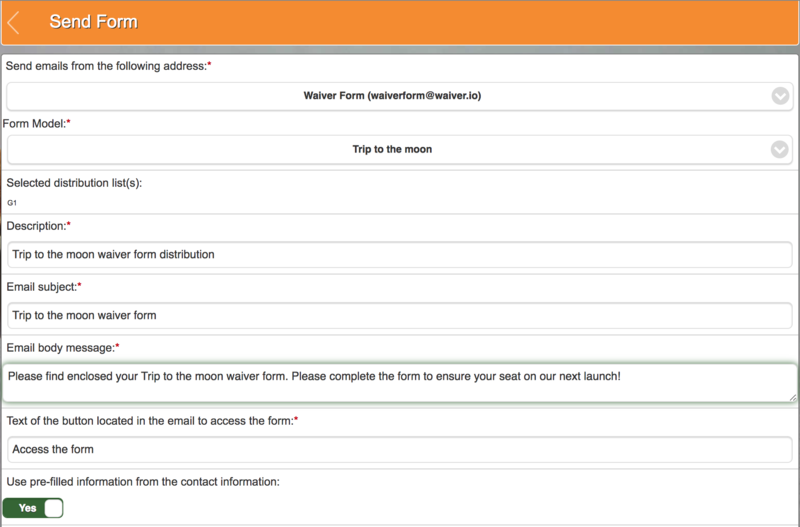 • No duplicate end-user form entry automation. • Customizable pre-filled information edition preventing the end-user to change the information on the form sent to him/her. • *This feature is lonly available on accounts that have made a purchase. Distribution list maximum size is set at 250 by default for security purposes. Our support department can increase that limit upon request.